Kunming Camp Update (3) – Keep Lifting Us Up! On a personal level, we have not had the best of weeks. So many lows – Luke’s camera and much of his equipment was stolen, and as you already know, Bryn’s file will not be released to us. Finally, Amy’s mom was moved to a nursing home on Friday. We feel as though we are under severe spiritual attack! We are so blessed to witness and be a part of this whole wonderful process! This entry was posted in Bring Me Hope News on July 27, 2010 by admin. What happens when you have a group of willing volunteers, helpful translators, agreeable orphans and a big God? We found that it leaves you with a pretty seamless week of camp! The children loved making pottery, running through the city fountains, and going to the pool with giant water slides, but sometimes our more meaningful camp moments happened when we were simply hanging out together. The more intimate times of making bracelets for one another, reading bedtime stories together, and watching people perform in the camp talent show are precious moments. Like spending time with family around the dinner table, we didn’t need anything fancy to enjoy one another. The Lord is opening hearts around here, young and old. We praise Him for all He is doing here in Xi’an. 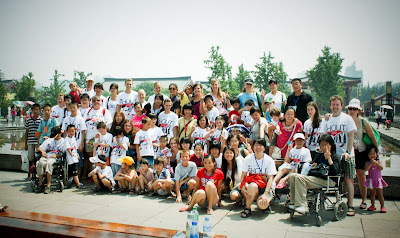 This entry was posted in Bring Me Hope News and tagged Bring Me Hope, Camp, Children, China, Orphans, Xian on July 25, 2010 by admin. Yantai Camp Update (3) – Lots of RAIN! In Yantai the word for week 3 was FLEXIBILITY! It seemed like a comedy of errors, as not only did we lose access to the swimming pool for the entire week, it also rained with some lightning and thunder thrown in for good measure, enough to throw out any plans we had for outdoor activities and disrupt the schedule of assemblies and meetings. Despite these obstacles to our plans, the staff, volunteers, translators and kids came together to have a blast of a week where we even managed to throw in a few surprises! The kids arrived Monday afternoon and as we ushered them into the pool we were greeted with a shocking sight: the pool had gone from crystal blue to algae green! Not to be dissuaded from enjoying their time with us, the kids jumped into craft time while some of the staff rushed to set up the water-park. he kids were hesitant to be the first to try the water-park, but after seeing some of the volunteers and translators give the waterslide a try, the kids jumped in line and all too soon it was pandemonium with jumps, somersaults and more than a few water-soaked king-of-the-hills. Tuesday came in with a roar that would make any lion proud. Rain, lightning, thunder and the staff at the hotel telling us we would have to turn of the electric equipment before anything nearby struck us with lightning. While we had to shorten our assembly, we were able to lengthen family time and give an extra night for the kids to contemplate some questions about what they wanted to be in the future and what they thought it meant to be a man or a woman. The storm didn’t disrupt all of our plans. In fact for the scavenger hunt it made things more interesting, as we extended the hunt between the two largest buildings of the resort, two buildings that are about 100 yards apart. In the rain that can be quite a run! The kids and their family groups disrupted a few massages and oxygen treatments as they searched for eight staff members hidden throughout the buildings, and after nearly an hour and a half of searching a winner was crowned! Also as a result of the storm we got to try a new event. By midweek the skies were still dark and stormy so instead of risking a trip to the beach we found an indoor Waterpark. It had two huge tube-slides, one smaller tube and a huge rafting slide, plus a gigantic pool complete with hidden tunnel, a large fountain to run through and a smaller kiddie area for the younger campers to enjoy. While the tube slides were somewhat troublesome to get through, especially for some of the larger staff members who kept getting stuck halfway down, the large raft slide became a hit both for those daring enough to ride down it and for the spectators who got to watch. Many of our volunteers this week were Canadian citizens and they were very proud of where they come from! Thursday night they treated the kids to a song they had practiced both in English and in Chinese, and then gave a lesson on the differences between Canada and the rest of the world. The finale of this lesson was introducing the kids to hockey! The demonstration was well received, but the American volunteers got to stand up and challenge the Canadians to a quick match, and the Americans came out ahead, 1-0! But more exciting than any competition was seeing the kids in the hallways the next morning practicing hockey with their very own authentic Canadian hockey sticks! So while the best plans may be changed or disrupted, we learned this week that love really does conquer all, and you don’t need sunshine or a swimming pool to be a family! Teresa was having a rough week with one of her boys, Xia Dao, who liked to run around and cause trouble, always with a small grin on his face. On Wednesday during assembly they were singing together and for the first time he reached over on his own and took her hand. When she looked down at him, he looked back up and smiled at her. During our weekly trip to the local KFC Lydia was having ice cream with her boys, both of whom were taller than her by over a foot. Lydia asked the boys if they had a highlight from the week so far and her biggest boy Tim answered immediately: “Right now, because we are all eating like a family.” and her other boy, John, agreed. The first day of camp we had water-park for the kids and at first Patti’s two boys, both around the age of ten, were hesitant to climb on board. Patti showed them by getting on the slide herself and after watching her have fun, the two boys jumped in line with her. After a few minutes together on the slide she had bonded with the boys and they would be inseparable the remainder of the week. This week the scavenger hunt was extended to include two entire buildings and eight separate items, and to add even more difficulty it was pouring rain the entire time. Becca and her family group jumped at the opportunity and found all the items first and won together. Not only did they enjoy winning together, they were also able to enjoy their favorite ice creams at KFC as a family. One of the character lessons we have been teaching this year is the story of Joseph, a young man who is abandoned by his family in a faraway land and there comes to great power and responsibility. At camp we had our very own Joseph this week, a young man named Steve. At the age of six Steve was told to wait on a train while his parents took his sister to the restroom. Hours later and miles away Steven was still on the train, but his family never returned for him and he ended up in an orphanage. Now Steve is 17 and has been trained as a design artist. One of the camp sponsors, Terry, a manufacturer who also produces our t-shirts, visited camp and one of our Canadian volunteers, Michael, introduced Terry to Steve. After hearing his story and hearing from Michael what a good man Steve is striving to become, Terry offered Steve a job in one of his factories! This entry was posted in Bring Me Hope News on July 25, 2010 by admin. 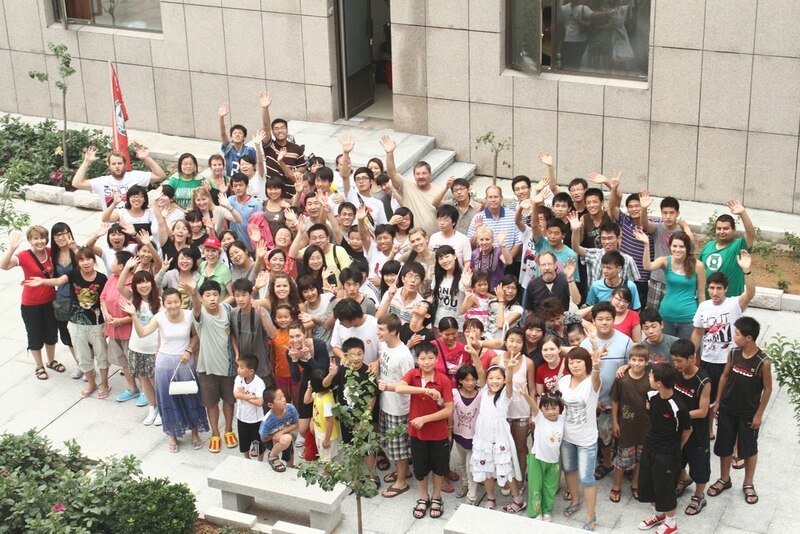 Xi’an Camp Update (2) – Adoptive Family Volunteers! Like a refreshing summer rain storm, week two of camp has come and gone in Xi’an. We were yet again blessed with a group of volunteers from all over the world. The Knipe family of Florida were especially excited to spend the week with children from their adopted daughter’s orphanage! A six year old boy named Wei Wei grabbed all of our hearts. He was blind and very small, but reminded us that no child is insignificant. We’re grateful for another fantastic week! Thank you for lifting us up! This entry was posted in Bring Me Hope News on July 19, 2010 by admin. The kids definitely say it the very best! 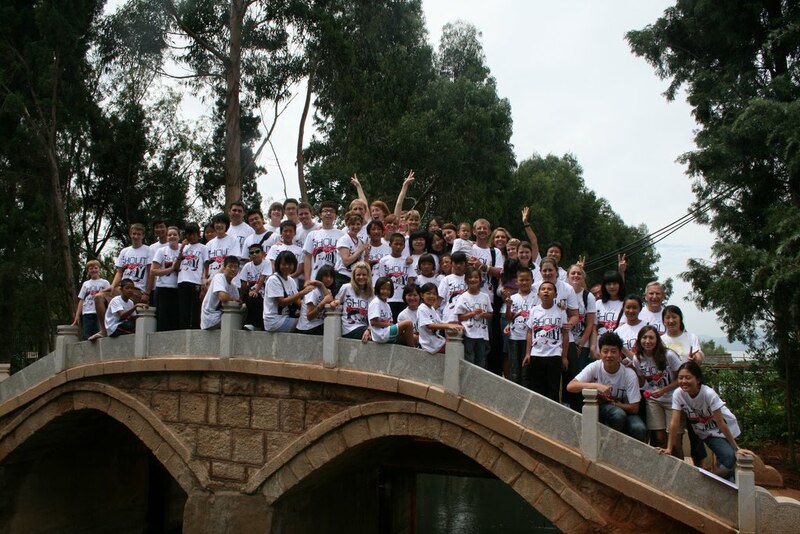 Yantai Camp Update (2) – Lots of Teenagers! 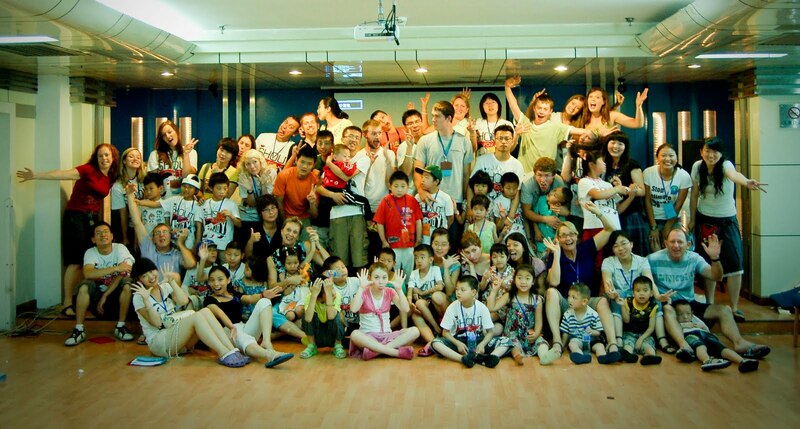 This week the Yantai camp went from a preschool to a high school! While we still had a couple of younger kids, the majority were teenagers! We were also once again blessed with an abundance of boys, which made things more complicated for our female volunteers and translators. But they stepped up and loved their boys like the sons, nephews, or in some cases bigger brothers they might have been. We had one minor visit to the hospital, but thankfully it turned out to be a precautionary step rather than a necessary one. A young boy who had a small lump on his cheek that was at first feared to be mumps turned out to have a single cavity! He was able to return the same day with a smile and a clean bill of health for the week. Since we had so many larger boys pool time was a much more active endeavor than the previous week, and the small ball games and swimming lessons were overtaken by water fights, splash wars and a game of keep-away that eventually devolved into a full contact game of “tackle the guy with the ball!” Speaking of water-based events, we were able to get our waterpark up and running and it was a big hit. A giant waterslide led to flips, slips, jumps, push wars, water hose battles ad a few accidental trips downward. The kids had good times pushing their buddies down the slides, and the buddies had fun chasing their kids back up to ride again. Unfortunately the trip to the amusement park was cancelled for logistical reasons, but it was replaced with a new game for the camp, a scavenger hunt through the dorms that turned out to be really popular with the kids and the adults. Staff members on different floors were holding candy and glowsticks, and three rice crispy treats for three lucky and quick scavenger hunters. Despite having so many big kids at the camp, it turned out to be the youngest team that was fastest as Carm, Spring, Casey and their two buddies Ya Ya, who is eight and Bai Bai who is six gathered up all six items and returned to win the prize: sodas for their next two meals. A big event for the camp this week was the beach. We tried out a different one and found not only a better spot for swimming, but also a place to take rides on jet skis and power boats! Most of the kids had never been to the ocean and now we didn’t just get them into the sea, we took them speed along on top of it! A big highlight for everyone was a powerboat tour along the coast of Yantai that included views of cliffsides, cliff top temples and lots of dips and turns along the way. There were the usual moments of tears and close calls, but also lots of joys and excitement as the kids just got to be kids. We learned a lot from hearing the stories of the children, and were astounded by the strength and optimism they showed even in the face of such hardships as they have all faced. We learned through life charts that some of the children had lost parents, others had been abandoned, but all came to us with open hearts and left with smiling faces. Bai Bai was the youngest camper this week at about 5 years old, and despite being the smallest and youngest by leaps and bounds, she was also the most sassy. Her favorite word was “boo,” which means No. All week Carm and her translator have been telling Bai Bai “Wo Ai Ni” with little response. On the last night of camp Carm went in to say goodnight and gave Bai Bai a hug and said “Wo AI Ni.” Bai Bai looked up nonchalantly and replied simply “I know!” and smiled. This week at camp there was a conference so our breakfasts were delivered to our rooms by staff members. The breakfasts consisted of meat buns, sweet pies and eggs that needed to be boiled in teapots. Suzanne did not know the eggs were raw when she went to have breakfast in her boys room. Lu Kai, the older boy, tried to warn her by saying “Sheng Da” which means “raw.” Suzanne thought he said eggs and cracked them open since she thought they were already hardboiled. She and her boys got a big shock and a good laugh when raw yolk splashed out of the eggs she had smashed together. Patti is on her first trip to China and has never spoken Chinese, and her buddy Boi doesn’t speak any English. Patti was teaching Bo to play “go fish” and in the middle of the game he stopped her and taught her Chinese sign language for 1-10. Patti than taught him English sign Language for K, Q, and J ( King, Queen and Jack) and using sign language they were able to communicate and play together. This week volunteer Vicky was assigned two boys of sixteen as her buddies and a translator who was so small the two boys considered her a little sister, even though she was six years older than they were! On the last day of camp as the boys were loading into the bus to go home Vicky signed “Wo AI Ni” to them, and was shocked and elated when both of the boys, who had been somewhat distant during the week, signed it back to her. 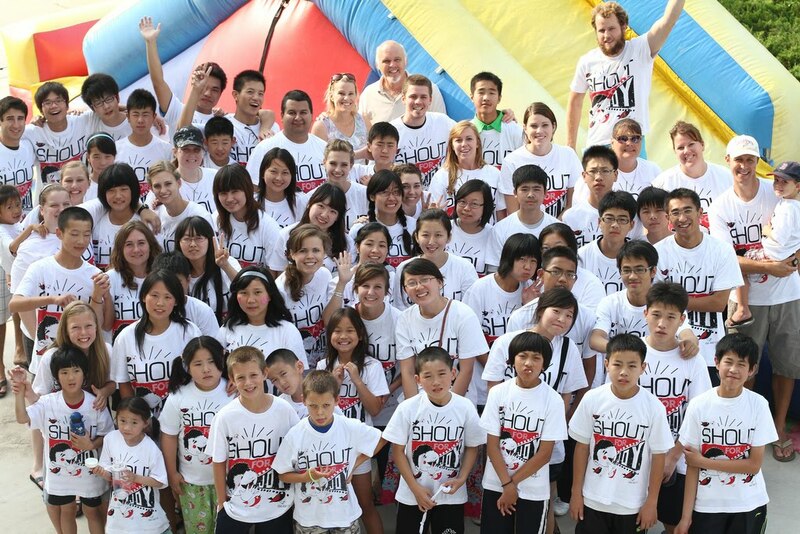 We were blessed to have 24 orphans and 12 volunteers take part in our first week of camp. 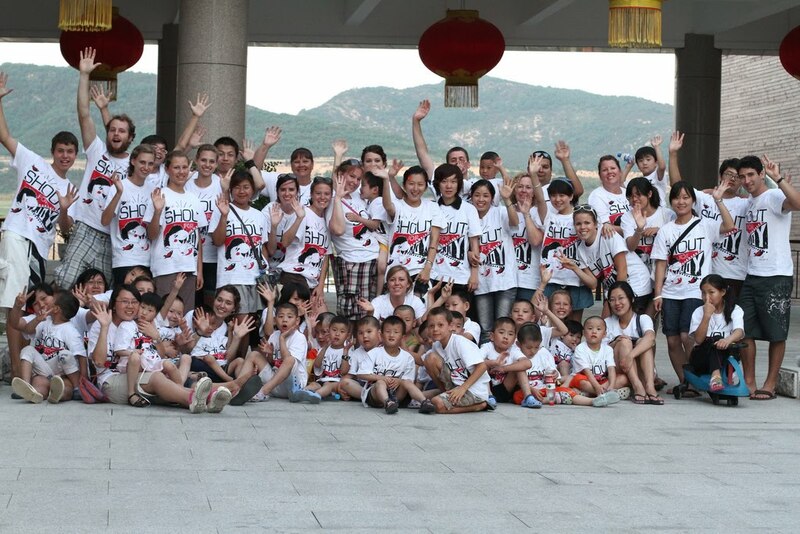 Our volunteers and staff teams are made up of people from Australia, Ireland, England, America, and China. We’ve had continuing jokes about not being able to understand each other, especially the Americans with the Aussie lingo. 😉 But in all seriously (which is a rare thing of us,) we have loved our joined unity over our common goal of helping the children. We had two groups of precious orphans with us this past week, most of which were energetic boys. 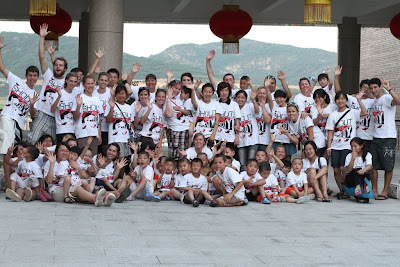 They had a blast visiting Ocean World, running through the Xian fountain show, and swimming, of course. One 15-year-old boy named Loren made an impression on us all; he has CP, though that sure doesn’t inhibit his joy. He was constantly laughing at his silly 70-year-old English volunteer who sported goofy hats every morning. Alan and Loren were quite a sight walking around the city of Xian together; with huge smiles on their faces, they would greet every (and I mean every) passerby with a big wave and a loud “NI HAO!” which means HELLO! They continued greeting people until they broke into a smile and give a little wave. 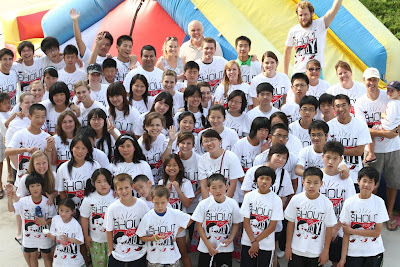 The pair brought so much happiness to literally hundreds of city folk in Xian this week, but also to the rest of our camp and also to each other. Memories and laughter characterize our week, and we are really grateful to the Lord for His provision and care to us. This entry was posted in Bring Me Hope News on July 11, 2010 by admin. 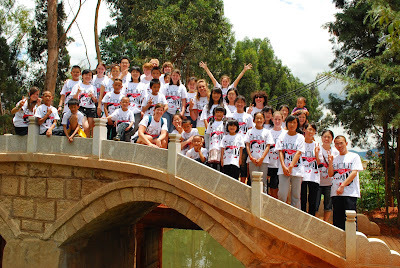 Kunming Camp Update – Water-park thrill! We are off to an amazing start! It was an awesome, fun-filled, life-changing, blessing beyond words time. The children are always quiet when they first arrive, but in a matter of hours are laughing, playing, and enjoying being loved. When it was time to go, every single child, translator, and volunteer, was crying. We always go away each week blessed by what we (our WHOLE FAMILY) have experienced and witnessed, and wishing we had a huge house with lots of rooms. Eight-year-old Annie was the one who captured us the most this week. She sobbed when she told her volunteer about her mom dying. And she later asked her volunteer if she could kiss her on the cheek. Another highlight was when 3 of the little boys walked into the water park. First their eyes bugged out, they threw their arms into the air, and then they screamed in excitement! What a thrill to witness this. Next week we will double our numbers and our blessings. We have an amazing group all around – all so willing to love and be loved. We wish you all were here! Our first week of camp is nearly over and yet the adventures are just beginning! Our children arrived and we were surprised to find that they were almost all toddlers or pre-school age. We were expecting a few kids around five and ranging up to twelve, but the oldest we got was about nine and we had more than a couple under four years old! The kids were mostly excited to jump into the activities of camp, and even the most reluctant children were excited when it came to pool time. On the second day we had two boys who needed medical attention for pre-existing conditions. Fu Ai Jhong, who is about 5 years old and called Eli by his American, Lydia, was suffering from eye inflammation that at first everyone thought was pinkeye. Teresa took him to the hospital to be treated and they found the eye was inflamed because Eli’s eyelid is inverted and his eyelashes grow upward into his eye, causing scratches that will eventually blind the boy. He will need surgery to correct the eylids, but in the meantime the doctors taped the eyelid down so that the eyelashes would no longer bother his eye. Eli was undaunted by his time in the hospital. He was so excited with the makeshift eye patch that the doctors have him that he dragged Lydia around by the hand so he could show everyone the tape holding down his eyelid. Teresa also had to take Jing Chun to the hospital due to a severe cough. The doctors diagnosed him with a form of pneumonia and he would need daily I.V. treatments. During the treatments Jing Chun, who is also missing his right hand, bonded strongly with Teresa and took his treatments like a chamo, needles and all. During the group photo on Wednesday Teresa was showing him how to wave at the camera and Jing stopped her from waving and began to push some of her fingers out and others in. He showed her the sign for “I love you” in Chinese and began to tap each of her fingers and saying Wo Ai Ni, over and over. Wo AI Ni is Chinese for I love you. On a shopping trip to the local town Elizabeth bought her boys brand new shoes. An An was so excited by his shoes that he didn’t want to wear them, he held them out and showed them to people passing by while yelling “Xin de xie, xin de xie”…New shoes! During most of the week Fu Xinhai has been closed off from his family group, partially because he is both deaf and mute. During dinner last night he surprised his translator, Michael, by sharing food not only with Michael but also another little boy at their table. After dinner was over Michael began to walk away, leaving some uneaten food on his plate. Fu collected the food from Michael’s plate into a bowl and followed Michael to make sure he finished his dinner. During her first night with her baby Huan Huan Emma was woken up in the middle of the night because Huan Huan had fallen off the bed. The baby was getting close to crying when she saw that Emma had woken up. When Emma reached down to pick the baby up, the sadness left her face and Huan Huan smiled and reached up for Emma. Lydia has had a very rough week with two little boys who were very energetic but nto very interested in connecting with her, they preferred just randomly picking buddies and randomly switching at any time. Last night, the last night before the kids return home, Lydia was putting her boys to sleep after spending some time coloring and watching them show off their artwork and she signed I love you to Eli, her deaf/mute boy and was amazed and excited when he smiled up at her and signed back I love you. 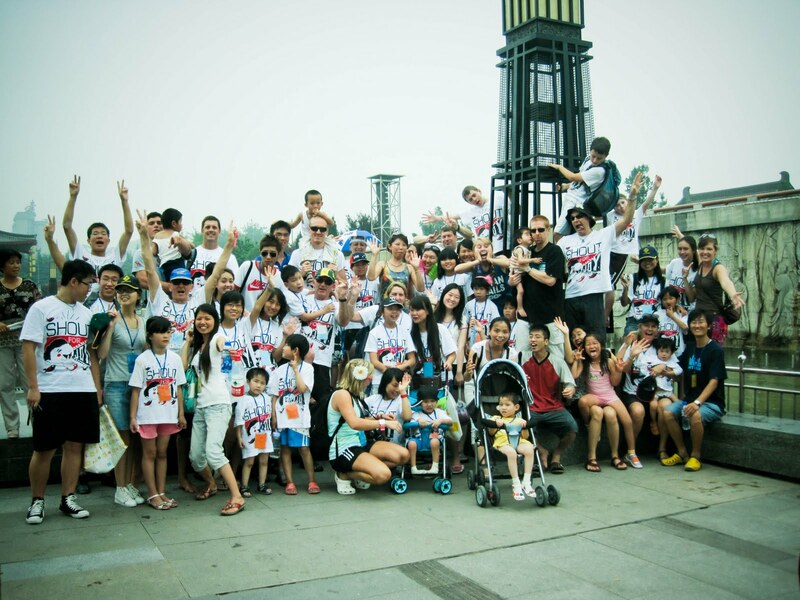 We had many firsts for the kids and also for BringMeHope. We took the kids swimming, which is always a highlight for them and for us and this year we even had an inflatable raft that they took rowing all throughout the swimming pool. 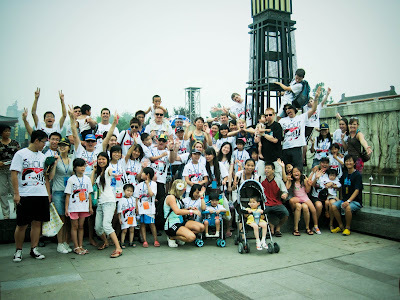 We took them to a local amusement park and got to ride bumper cars, spinning dolphins and even a flying elephant ride. We even had a beach day full of sand and surf and all the crabs, clams and tiny little fish the kids could find. It is really amazing how much life there is in the beaches here! Xi’an, Yantai, and Kunming teams have kicked off camp for the summer! There have already been many joys and memories, so please keep lifting us up! Check out our facebook for pictures! This entry was posted in Bring Me Hope News on July 5, 2010 by admin.